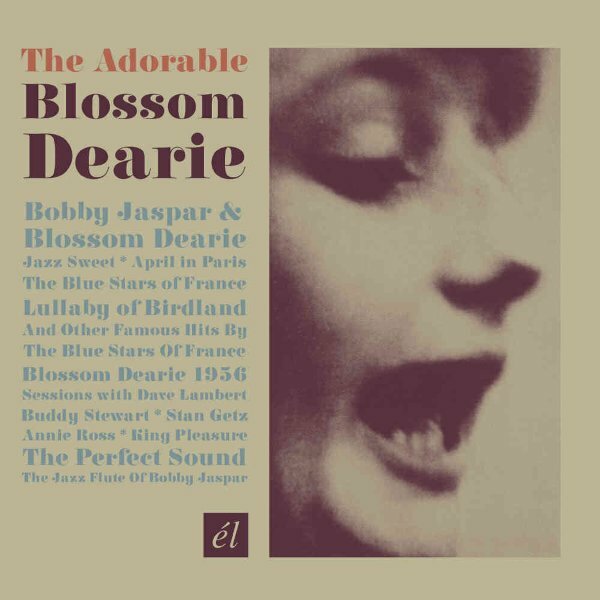 A great look at the earliest years of the lovely Blossom Dearie – and a set that also features a surprising amount of work from reedman Bobby Jaspar, who was making big waves on the Paris jazz scene at the same time the young Blossom was living in France! CD1 features the pair together – a lovely set of duos with Bobby on flute and Blossom on piano, pulled from a rare 7" EP – which is then followed by a set of piano instrumentals lead by Dearie, from the album Jazz Sweet – a French-only release! The CD then follows with Blossom's great vocal jazz group The Blues Stars Of France – with tracks from both their first album and their rare EP – great vocal harmony numbers of bebop tunes. CD2 features Blossom's famous self-titled album for Verve – a great American debut – but then follows with lots more rare material, including a Blue Stars 7" single, a rare Dave Lambert & Buddy Stewart 78rpm single, and even other vocal tracks by Annie Ross and King Pleasure. CD3 mostly features material that focuses on the talents of Bobby Jaspar on flute – some under his own leadership, plus more with other artists and groups, including work with singer Helen Merrill, guitarist Rene Thomas, and trombonist JJ Johnson. 75 tracks in all – and a booklet of notes! © 1996-2019, Dusty Groove, Inc.